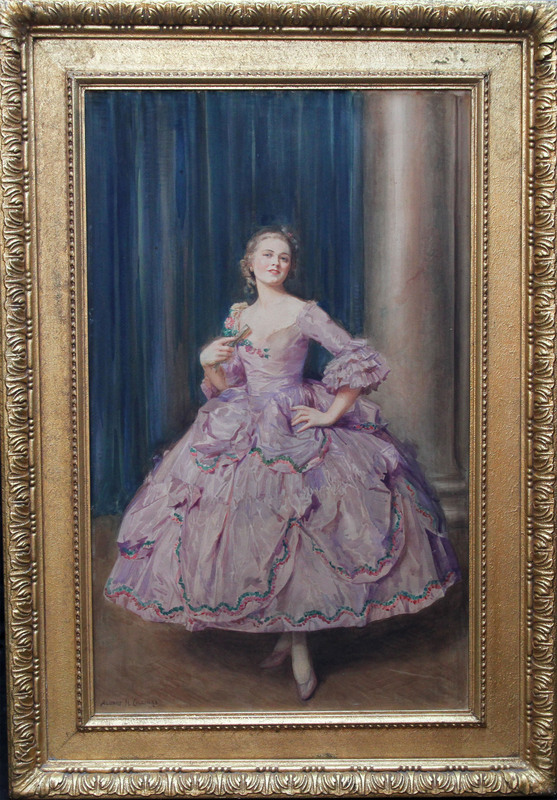 A fine large watercolour portrait painting by British listed artist Albert Henry Collings. This is a stunning large watercolour that was exhibibted at The Royal Institute of Painters in Watercolour under the title A Dainty Rogue in Porcelain. 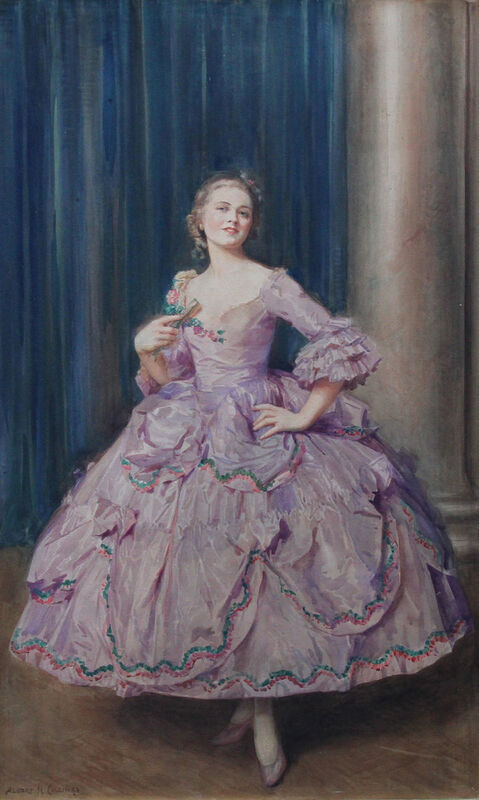 It depicts an actress on stage holding a fan and wearing a pink gown. This beautiful painting dates to circa 1912. Signed lower left and also signed on old exhibition label verso. The Royal Institute of Painters in Watercolour. Fine period frame, 48 inches by 34 inches and in good condition.